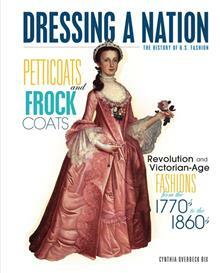 What would you have worn if you lived during the American Revolution or the early 1800s? It depends on who you were! Women wore layers and layers of undergarments, including corsets, chemises, and petticoats, and they accessorized with gloves, hats, parasols, and fans. Men also flaunted plenty of accessories, including neckties, top hats, walking sticks, and pocket watches. 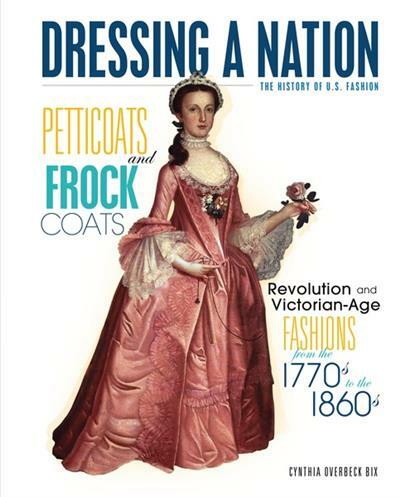 Read more about Revolutionary and early 1800s fashions-from pantaloons to silk stockings to tricornered hats-in this fascinating book! Cynthia Bix grew up in Baltimore, Maryland, where family visits to historical sites that dot the East Coast--including Old Sturbridge Village, Colonial Williamsburg, and Baltimore's own Fort McHenry--sparked her early interest in American history, crafts, and everyday life. After moving as a teenager to the San Francisco Bay Area, she added natural science--the world of plants, animals, and the environment--to her interests. She has been an avid reader ever since first grade, and there's always a stack of novels on her nightstand. (Sometimes she even sneaks in a reading session when she should be cooking dinner!) Cynthia loves to write about anything and everything. In her more than 30 nonfiction books for children and adults, she has written about such diverse subjects as carnivorous plants, the water cycle, flower gardens, and the Grand Canyon. She has also written how-to-do-it books about activities from planning a backyard cottage to making impressions of animal footprints! In addition to writing books and articles, Cynthia edits books for both children and adults.